As you keep the momentum of this year's vacations, the planning of your next year's trip to the Greek islands cannot be held back! Schedules and timetables are not yet announced for 2019, but here we will gather helpful information for ferry itineraries to help you make a rough plan for your trip. Once the timetables are released, you may use Ferryhopper to get quick access to information such as prices and timetables that will help you book your tickets and plan your trip to the Greek islands next summer. The biggest ferry operators in Greece are Blue Star Ferries, SeaJets, Aegean Speedlines, Hellenic Seaways, Ionian Group, ANEK Lines and Minoan Lines. As a rough estimate keep in mind the following: Italy - Greece routes 2019 will be announced in November 2019, winter routes for the Greek Islands are probable to be announced in November or December 2018, while the majority of summer ferry schedules for the Greek Islands is expected to get announced around February - March 2019. We will keep updating as these schedules and timetables are released, so stay tuned. Heraklion to Santorini and Mykonos in a couple of hours! The popular ferry connection between Mykonos, Santorini, and Heraklion is usually operated by Seajets and Minoan Lines (who acquired the ferry operating this route from Hellenic Seaways). In 2018 Golden Star Ferries also operated a daily itinerary with its conventional ferry Superferry I & Superferry II. As this route is quite popular there are usually 3-4 ferries per day. Ferry tickets are usually in the range of ~70€ for the high-speed ferries, but this may change in 2019. 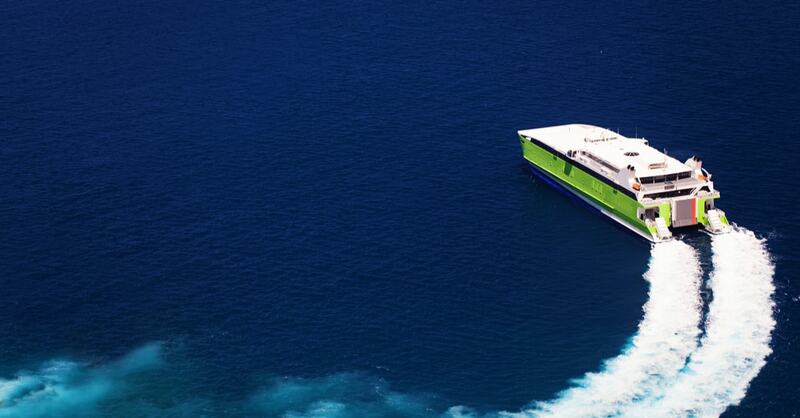 What about Mykonos to Santorini ferries? Another quite popular ferry route is the one connecting Santorini to Mykonos. During summer, there are nine ferries per day that serve this route. Even if most of these ferries are high-speed ones, some of them also have a garage allowing you to take your car with you. How to get from Athens to Mykonos by ferry? The island of Mykonos is well connected to Athens with daily ferries from the ports of Rafina and Piraeus. Rafina is the most convenient as it is closer to Mykonos. However, Piraeus is easier to reach when you stay in Athens centre. Take the ferry from Rafina to Mykonos! The high-speed ferry takes only 2:30 hours to reach Mykonos from Rafina, while the conventional ones need ~4:30 hours. The ferry schedules are quite frequent and the tickets are usually quite affordable. During summer the route is served with ~9-10 ferries per day. On the other hand, during the low season, the itineraries are reduced, but there is at least one conventional ferry per day that serves the route from Rafina to Mykonos. Apart from Rafina, there are also both high-speed and conventional ferries departing from Piraeus to Mykonos. In the summer there are 3-4 ferries per day that operate on this route. During the low-season the number of the ferry itineraries is reduced to 1-2 setting sail on a daily basis. Update 17 Oct 2018: Blue Star Ferries has released its ferry schedules for the Cyclades up to March 2019. How to get from Athens to Santorini by ferry? Santorini is connected to Athens through the port of Piraeus and Rafina. During winter there are one or two ferries per day between Piraeus and Santorini, while during summer there are around ten (!!) ferries per day between Santorini and Athens (Piraeus and Rafina combined). The trip with the conventional ferries lasts around 7.30 hours, while with the high-speed ferries the trip time is reduced to 5 hours. Update 17 Oct 2018: Blue Star Ferries has released its ferry schedules for Santorini up to March 2019. You may find all itineraries in Ferryhopper. Update 28 Oct 2018: Seajets has released most of the 2019 routes for their high-speed ferries. You may start booking your 2019 itineraries for your trip from Athens (Piraeus) to Santorini from today in Ferryhopper's ferry booking engine. Are Koufonisia connected to Folegandros? Each year Seajets offers another very interesting itinerary with their small high-speed vessel SeaJet 2 or Superjet, connecting Athens (Piraeus) with almost every Cycladic island. Starting with Sifnos and going all the way to Amorgos, this route provides limitless island hopping possibilities. You can get from Milos to Koufonisia, Amorgos to Folegandros or Sifnos to Santorini, all in just a couple of hours. Moreover, the intermediate stops in Paros and Naxos (the central ports of Cyclades), allow travelers to reach practically any island of the Aegean. How to get from Athens to Milos, Serifos, and Sifnos? Aegean Speedlines is open for bookings on the Speedrunner3 route. 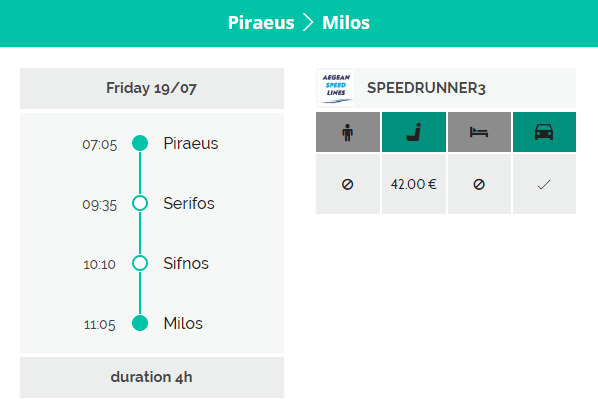 This connects Piraeus to Serifos (2h 30mins), Sifnos (3h 5mins) and Milos (4h). By combining this with the Seajet2 routes, mentioned above, you can now get anywhere in the Cyclades in record time! This is the most established route across the Greek island ecosystem. Athens is connected to Crete via three routes Piraeus - Heraklion, Piraeus - Chania, and Piraeus - Heraklion - Siteia. This route is served by two ferry companies, Minoan Lines and the synergy of ANEK Lines with Blue Star Ferries. Both companies provide one daily ferry connection. The ferries of Minoan Lines depart from Piraeus and Heraklion at 21:30 (or 22:00) and arrive at 06:00 (or 06:30) at Heraklion and Piraeus respectively. The ferries of ANEK Lines - Blue Star Ferries synergy depart from Piraeus (or Heraklion) at 21:00 and arrives at Heraklion (or Piraeus) at 06:00. Usually, ANEK - Blue Star Ferries have cheaper tickets options but of course, you can check the special offers and book your tickets at Ferryhopper!Apart from this overnight connection, during the summer of 2019, there will be daily itineraries for ferries traveling during the day. This route is served by Minoan Lines and the synergy of ANEK Lines with Blue Star Ferries. ANEK Lines ferries depart from Piraeus (or Chania) at 21:00 and arrives at Chania (or Piraeus) at 06:00. 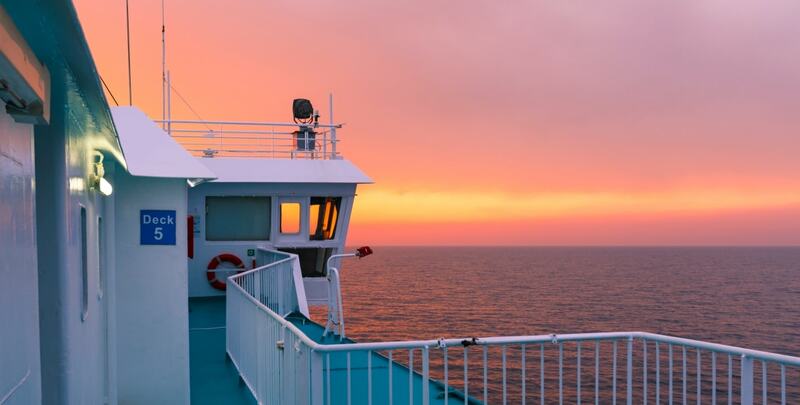 Apart from this overnight connection, during the summer of 2019 there will be scheduled itineraries for ferries traveling during the day, either by ANEK - Blue Star Ferries or by Minoan Lines. Should I pre-book my ferry tickets from Italy to Greece? In fact, yes! And if possible, you should do it pretty early. As the trip duration in these routes is a bit long, the cabins usually sell out fast. The same applies to car tickets, as most of the travelers preferring this route usually take a car with them. So take your prompt actions! Especially if you are aiming to travel during the high season of July and August. If you start your planning in April, you will be dealing with the risk of not finding available seats or cabins. In 2019, Italy will be connected to Greece through several ports. The main routes to be served are expected to be Ancona - Patras, and Venice - Patras with intermediate stops to Igoumenitsa, as well as Bari - Igoumenitsa and Brindisi - Igoumenitsa with intermediate stops in Corfu. However, on specific days the same will be also serving some other Greek islands as Cephalonia and Zante. How can I book my ferry tickets to the Greek Islands or from Italy to Greece? It goes without saying that once the itineraries are officially released we immediately show them on our website. Use the ferry booking engine of Ferryhopper to find both direct and indirect connections between the Greek Islands or cheap ferry tickets from Italy to Greece. This is it! Now you may buy your ferry tickets safely with only 4 clicks!